The map has a very visible dot right on top of France. However, there hasn’t been a Miku Expo event anywhere in Europe yet. This seems like it might be an accidental hint at a Miku Expo taking place in France later, but some speculate it might have something to do with the earlier Japonismes performance announcements. Historically, every single Miku Expo event has been its own independent celebration, and not held in co-operation with other events or exhibitions. Furthermore, the Japonismes website shows a listing for a future “Hatsune Miku Concert” event at La Seine Musicale. All events are listed in order by date with the “Hatsune Miku Concert” event being positioned at the bottom, below events listed for early 2019. 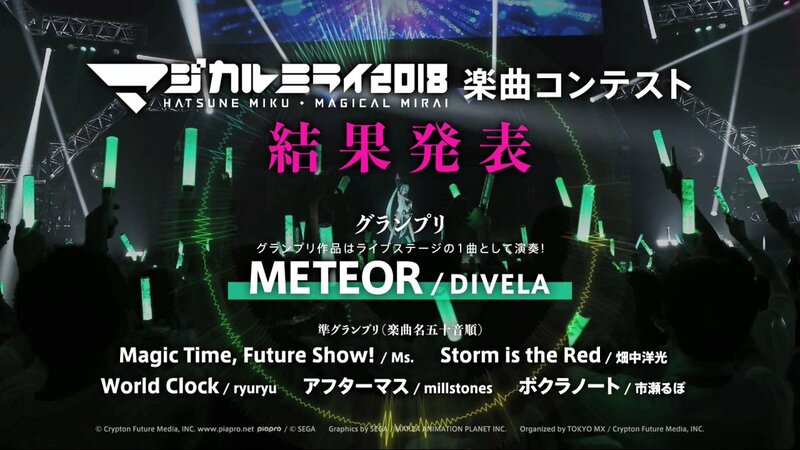 The results for the Hatsune Miku: Magical Mirai 2018 song contest have just been announced! This early is a bit surprising, since they originally promised an early May reveal. But without further delay, here’s the 5 winners of the song contest! Magic Time, Future Show! 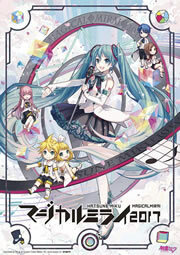 / Ms.
A preview for a second (that’s right, second) Hatsune Miku: Magical Mirai 2018 theme song is here! The Magical Mirai Twitter treats us to just 15 seconds of the song titled 劣等上等 (Inferiority Superiority) composed by well-known Vocaloid producer GigaP, and is previewed as a “Kagamine Rin & Len version” (does this imply a Miku version will be made?). The theme song was made to help celebrate Kagamine Rin & Len’s 10th anniversary during the event. A recent image leak from various online retailers has revealed a “Deep Sea Girl” ver. Hatsune Miku plushie will be released in the 3rd week of September 2018, the same month as the song’s 8th anniversary! 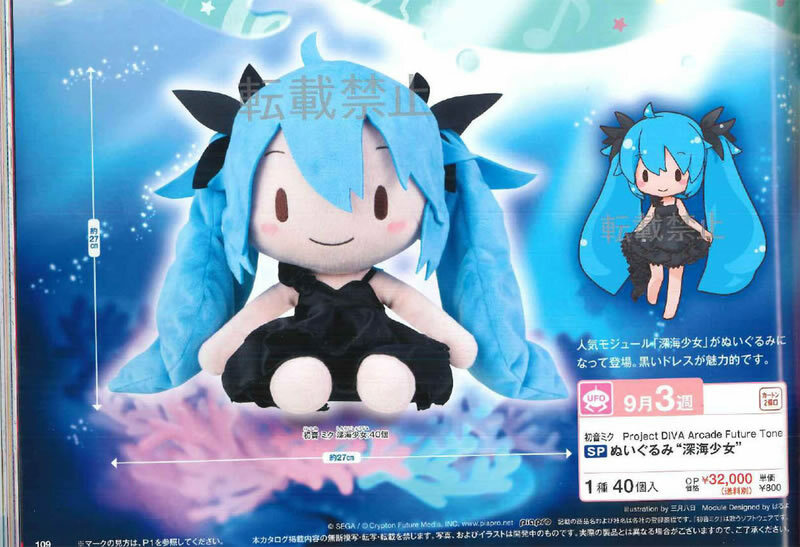 The plushie measures 27cm tall, and is yet another entry in SEGA’s “Project Diva Future Tone” series of jumbo sized plushies. Try your hands at getting one in arcades later this year, or preorder her online when you see her available! Hatsune Miku’s making a bigger splash into the Idol style game scene. A recent CM promotion for the popular Idol-style mobile game “Bang Dream! Girls Band Party!” announces an update to add more covers of various popular Hatsune Miku songs into the game’s mix. The commercial itself (above) also features Miku (model by Kasoku Sato) peeping in on a girl playing one of the game’s new cover songs for “Miku Miku Ni Shite Ageru“. Pretty cute! The update currently applies only to the Japanese version of the game. The English version of the game only recently launched, so it’s unknown if it will also receive the update anytime soon. Bang Dream! is a mobile Idol/Rhythm style game available for Android and iOS, but only from their respective regions.